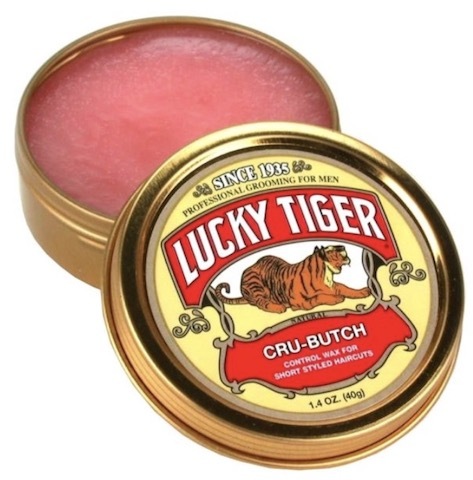 Lucky Tiger Cru-Butch Control Wax delivers premium hold to crew and buzz cuts as well as other short and dramatic hairstyles. Lucky Tiger Control Wax is stiff enough to make a rockabilly pomp stand tall yet soft enough to work gently into the hair. From stiff flattops to tight, slicked-down sides, this versatile control wax keeps you looking as sharp as the day you left the barbershop. Packaged in a handy travel size container, Lucky Tiger Control Wax goes everywhere you do so you look your best at every turn. 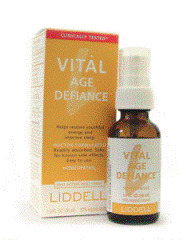 Directions: Dab a little into your palms and apply. 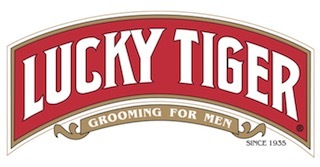 With Lucky Tiger Cru-Butch Control Wax, your hair will not only look good, it will feel good too. Your hair will have a nice, flake-free matte shine. For optimal hair care, try using this control wax with our Three Purpose Hair Tonic.